All of our seeds are grown without the use of toxic chemicals such as herbicides, fungicides and insecticides. The vast majority of our seeds are certified organic, however some of our seeds have been grown on land that is not certified or is in conversion to organic so we are not able to market them as 'organic'. We make it clear in the item description if this is the case for a particular variety. Our dream is to produce all of the seeds in our catalogue. However this will take some time to achieve due to the nature of seed growing and the infrastructure needed to produce top quality vegetable seed in our rain-prone climate. 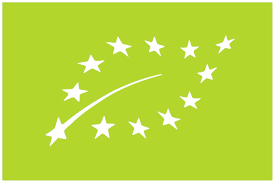 The land we were growing on until Jan 2019 was not certified organic, therefore the seeds produced on this land are labelled 'ecologically produced'. If you want to search for only seeds which are produced by us then search for this term in the search bar in the main menu. Any other seeds have been purchased from well reputed certified organic and biodynamic seed suppliers. 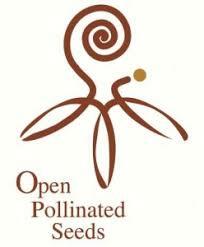 We are a registered seed company partner of the Open Source Seed Initiative. OSSI is dedicated to maintaining fair and open access to plant genetic resources worldwide by offering a new way to save and exchange seed that ensures the seed will remain free of patents, licenses, and other restrictions. Varieties that are registered as OSSI seed are accompanied by the pledge (see below), which prohibits the varieties or their derivatives from being patented or licensed in ways that can restrict use. The OSSI Pledge also requires that any subsequent distributions of OSSI seed, or of derivatives bred from OSSI seed, be accompanied by the pledge. In this way, OSSI intends to develop an expanding pool of genetic resources that are available now and in the future for unrestricted use by scientists, farmers, and gardeners. This pledge is a commitment to foster unfettered exchange of germplasm and the freedom to use the material for any purpose, with the single proviso that by accepting the pledge the user commits to allowing others freedom to use the material or derivatives of the material.